Now with G1 Climax 28 is firmly in the rearview, New Japan Pro Wrestling is back to regularly scheduled business with September’s NJPW Destruction 2018 tour beginning September 7 in Korakuen Hall. 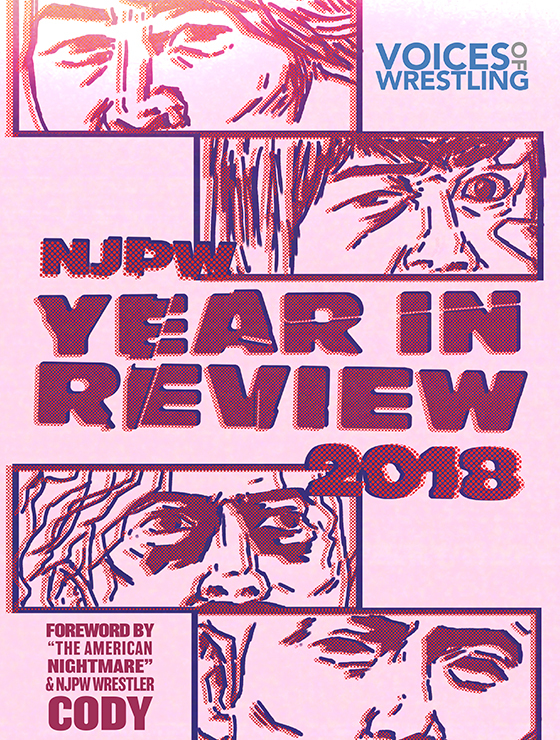 Below you’ll find a list of each and every tour show that will appear on NJPW World as well as brief analysis on major or noteworthy matches from each show. 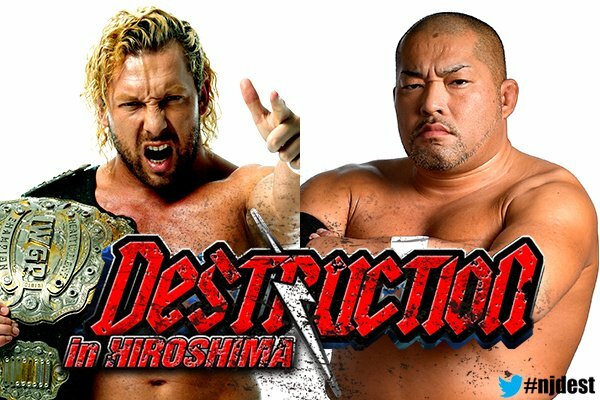 The Destruction tour—as mentioned—begins September 7 with Road to Destruction and culminates with NJPW’s Destruction in Kobe on September 23. We’ve also included NJPW Fighting Spirit Unleashed, New Japan’s return to the United States (Long Beach’s Walter Pyramid) on September 30. A few notes about the tour before we get to the schedule. Beretta, who has been out several months with a torn triceps returns. Ayota Yoshida, who appeared in the opening tag match of the G1 Climax 28 finals, is working every night of the tour and Satoshi Kojima, the leader of the Bread Club, is back after an eight-month absence. We also see the first two matches of a four-man IWGP Junior Heavyweight Title tournament, an unfortunate result of Hiromu Takahashi’s injury. After their block deciding war just a few weeks ago, Kota Ibushi and Kenny Omega (The Golden Lovers) are back to teaming and they kick off this tour with what should be a spectacular match against CHAOS members Tomohiro Ishii and Will Ospreay. 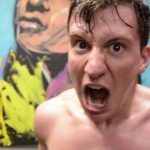 This will only be the third time Ibushi and Ospreay have been in the same match—the first being a famous match from WWNLive Supershow in 2016—while Omega and Ishii will preview their upcoming singles match. Ishii and Ibushi had one of the best matches of the G1 so pretty much any combo of these four is intriguing. Beretta is back for 10 minutes and already in main events again? Lucky guy! The most significant match on this show isn’t anything in the featured bouts but rather Yoshida vs. Chase Owens. I mentioned Yoshida earlier as an important part of this tour and him getting a singles match, above the usual young lion tags, against someone established like Chase Owens is not irrelevant. He’s going to lose but the match placement and opponent is something to note. You may look at this card as one of the weakest of the tours and, well, I won’t argue with you too much but that main event looks like a ton of fun. Look at the age and experience on the one team. That’s a whos who of NJPW history and Nagata—who will be wrestling in his hometown of Chiba—is sure to get a reaction. It’s Kenny Omega vs. Tomohiro Ishii and the big strap is on the line. These two make magic no matter the situation but as the main event of a major show you should expect a new level of greatness from these two. There’s added weight to this match as its the first IWGP Heavyweight Championship match for Tomohiro Ishii since his incredible match with Tetsuya Naito at NJPW Wrestling Dontaku 2016. Expect this to be one of the best matches of 2018. The remainder of the card features previews for the next few major Destruction shows including Tanahashi and Okada on opposite ends of a multi-man tag, LIJ vs. Suzuki-gun and a rematch from the G1 Climax 28 Finals between Bad Luck Fale and Toa Henare. Again, I’ll note Yoshida who this time is teaming with Michael Elgin to take on Killer Elite Squad. I predict things won’t go well for the young K-DOJO product but still, another big spot for the NJPW newbie. And there’s a NEVER Openweight Six Man Title match but I can’t even pretend to care about those titles anymore. Sorry. As far as I can tell, Beppu hasn’t had a NJPW show since 2017 and only seven shows in the last 15 years, the most notable being Wrestling Toyonokuni 2017. Either way, they are treated to a fun show with a few major matches including Tetsuya Naito vs. Minoru Suzuki, Best Friends (Beretta & Chuckie T) vs. Killer Elite Squad and Taichi’s return to relevance in a NEVER Openweight Title match against Hirooki Goto. Arguably the biggest and most important show on the entire tour is September 23’s NJPW Destruction in Kobe. 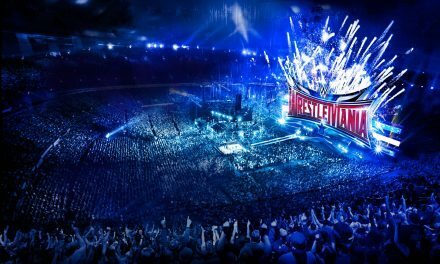 The main event features the next chapter of the legendary rivalry between Tanahashi and Okada. Tanahashi was able to survive against Okada in their A Block final a few weeks ago. Okada needs to beat Tanahashi in Kobe to have a path towards the IWGP Heavyweight Title at Wrestle Kingdom. The question on everyone’s mind: will he do it? This would be the first time since NJPW instituted a title shot briefcase/award that the briefcase holder lost in the lead-up to January 4’s Tokyo Dome show. Is Tanahashi the right guy to lose the case? Is Okada the right guy to put back into the IWGP Title match at Wrestle Kingdom? I’m still not sure I know the answer to either. I think you could make a great case of Tanahashi being the perfect one to lose on the way to Tokyo Dome as he’s obviously been knocked back a few rungs in the NJPW hierarchy. But, it seems all too soon for Okada to be back in the title picture. If Okada loses to Tanahashi, all of the last two years of storytelling and Okada putting Tanahashi firmly in the rearview is seemingly thrown away. I waver on a minute-by-minute basis on what I would do in this match. It’s a pick’em as far as I’m concerned with either man just as likely to beat the other. 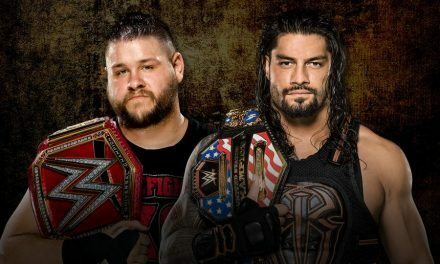 Either way, the match should be fantastic as these two are incapable of producing anything less. Also noteworthy is the beginning of the IWGP Junior Title tournament. 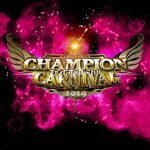 Unfortunately due to the tragic circumstances of Hiromu Takahashi’s injury, the title has been vacated and a new title holder will be determined via a four-man tournament between KUSHIDA, BUSHI, Will Ospreay and Marty Scurll. The first of the tournament matches—KUSHIDA & BUSHI—is our semi main event. The two are no strangers to one another having wrestled 13 singles match in NJPW since 2010. Most recently, the two fought for the IWGP Junior Heavyweight Title once in 2017 and three times in 2016. The tournament will culminate at Sumo Hall October 8. Last but not least, NJPW’s return to the United States for Fighting Spirit Unleashed. It’s obvious to any onlooker that this show has the least amount of buzz (we use the patented VOW Buzz-o-Meter 2000 to determine this, so it’s very scientific). But seriously, there doesn’t seem to be the same specialness to this show as we’ve seen with nearly every NJPW show in America prior—even those co-promoted with Ring of Honor. So far we only have three matches for the show and it feels very…America. 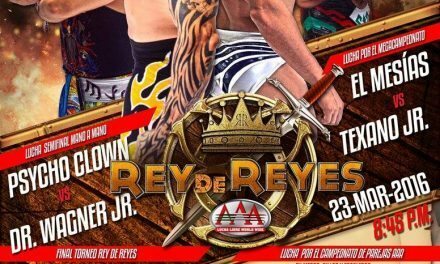 Sure, we have three of NJPW’s titles on the line but other than the Guerillas of Destiny, each wrestler has very obvious ties to other countries or other regions in wrestling. 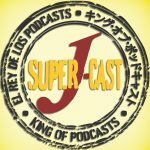 While it doesn’t bother me to have a show structured this way, I can see how it would be a turnoff to some looking for a very authentic NJPW experience and you end up with a show that looks very “Americanized.” Either way, it should be pretty fun as Juice Robinson has come into his own over the last year and is arguably one of the top wrestlers in NJPW. 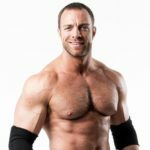 Cody has finally figured out how to portray the character he wants and is gaining steam both in NJPW and aboard. Ospreay and Scurll are long-time rivals and the next chapter taking place in the Walter Pyramid for a show of this magnitude should deliver big. The Guerillas of Destiny are also on the show. But seriously, the Bucks are as over as any wrestlers in the world and however many people file into Long Beach will just be happy to hear their entrance music and see them throw a few Superkicks. 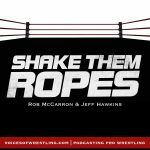 Keep an eye on Voices of Wrestling throughout the tour as we’ll have previews and reviews of each and every major show. Be sure also to join the conversation on the Voices of Wrestling forums.